Purchasing scrip through First Lutheran raises valuable funds that are used to make needed improvements in school facilities. Anyone can purchase scrip to help the students of First Lutheran, whether or not they have a student at First Lutheran. Scrip is gift certificates purchased at face value for more than 100 local grocery stores, retail stores, movie theaters, restaurants and more. Scrip is purchased at no additional cost and can be used as cash, but each time you purchase scrip at First Lutheran, you make money for the school because scrip vendors agree to give a percentage of every scrip sale made by First Lutheran back to the school. Scrip can be purchased at the Campus Center in Fellowship Hall. Click on the file below for an order form with a list of the scrip cards available through our school. Electronic scrip (Scripnow!) 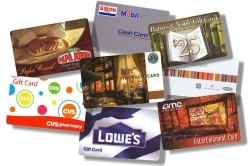 and card reloads can be purchased online at www.shopwithscrip.com 24 hours a day (use the registration code 37LD38788719). Call the FLS Campus Center at (310) 320-9920, ext. 107, for the Campus Center's hours of operation or more information.